If Heracles is the most Greek of all heroes, Theseus is probably the most Athenian. (And remember, almost all the Greek theater we’ve got comes out of the contests in Athens.) While Heracles likes to solve problems by beating them to death, Theseus is described as more of a thinker, a trickster like Odysseus. The trouble with trying to tell the myth of Theseus is that there are a lot of different versions. Some paint him well, some don’t. Remember that Theseus was the most famous Athenian, and Athens went to war with other city-states in Greece a lot. You know how competitive we get about hometown sports teams? Well that’s Greece, except with local mythological heroes. Do not loose the wineskin’s hanging foot until thou has reached thy paternal hearth. Aegeus had been having some fertility issues (In fact, that’s why he offered Medea sanctuary. ), so he told Aethra that if she had a son, he should roll aside a rock by the side of the road on the way out of town. Once he was old enough, Aethra showed Theseus the rock, and he was elated to find his Aegeus’ sword and sandals. Theseus had lots of adventures on the road, killing bandits and monsters and the like, but what’s more important is what happened when he reached Athens. She was none too pleased when a full grown illegitimate son showed up claiming to be the crown prince. Apparently Aegeus was dubious of him too, maybe because he didn’t trust himself to have fathered the boy. Ah, Greek impotency issues. Anyhoo, Medea convinced Aegeus to test the boy with a dangerous task, so Theseus captured and/or killed the Marathonian Bull. (There’s a bit of a bull theme going on in Theseus’ life, as you shall see.) He returned triumphant, so Medea tried to poison him. Hey handsome stranger. Want some wine? So Theseus and the other sad pretty young people are sent to Crete, and Minos’ court gets to survey them before they’re sacrificed. Ariadne, Minos’ daughter, sees Theseus and is like “Ohhhhh his ego is so big. He’s so attractive. DO WANT!” and she’s so heartsick that her new crush is going to die that she tells Theseus how to escape the labyrinth using Daedalus [the builder of the labyrinth’s] great weapon, a ball of string. String? But I thought the weapon would be something cool like a sword! See killing the Minotaur is easy for somebody like Theseus. He’s already killed one bull-like thing for his dad and a few others on the road. All he’s really got to do is grab the Minotaur’s head and gore him with his own horns. (See why people thought he was a demigod?) The trouble is how would he escape the labyrinth after killing the monster? Ariadne’s string allowed him to retrace his steps and not get lost. 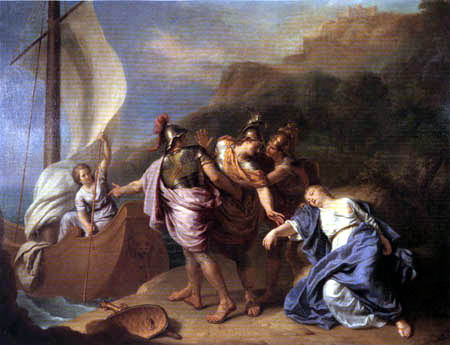 So Theseus escapes and runs off with Ariadne, who only agreed to help him if they could get married. Unlike Jason, Theseus doesn’t respond very well to emotional blackmail, and leaves Ariadne on the island of Naxos, possibly unintentionally, but if so, why didn’t he come back? Theseus must’ve been a hot mess on the way home because he even forgot to change the sail of the ship to white. So Aegeus saw the black sail from his excessively high home office in a very tall tower on the Acropolis and threw himself to his death. Now this is where the timeline gets a little weebly wobbly. The order of events is hotly contested within different of retellings of the myth, so I’m going to go with the one that makes the most sense given Euripides’ retelling. So with Aegeus dead, Theseus ascends to the throne of Athens. But the Attican nobles who were below him didn’t take too kindly to the throne being given to a technically illegitimate son who might not actually be Aegeus’ son at all. The Amazons lived in northern Asia Minor near Causcasus. They were a tribe of warrior women who raised only female children, and basically just acted like men in Greek society. Theseus went to war with them, and captured their queen, Hippolyta/Antiope. Or he just waltzed into town and Hippolyta dropped her weapons and jumped him. 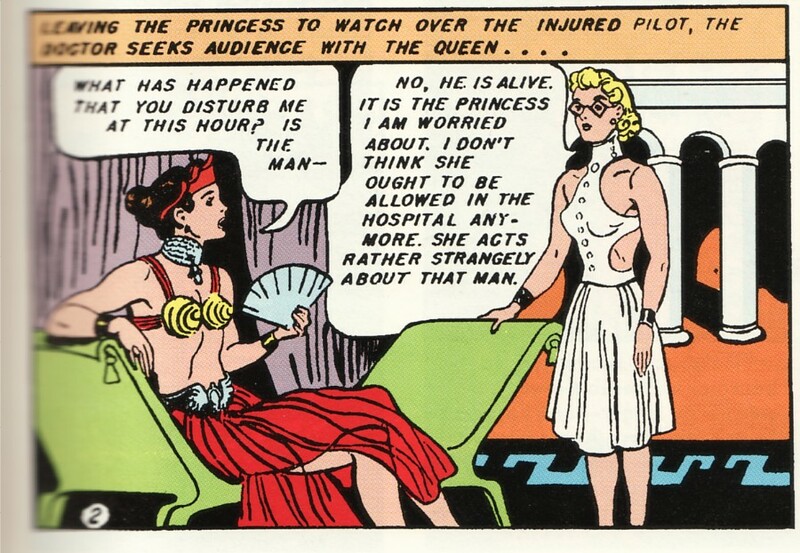 Either way, Theseus went all Captain James T. Kirk on that warrior princess and Hippolyta ends up pregnant. Not to be confused with Queen Hippolyta, mother of Wonder Woman. And somehow, after a lot of common law married life, either little Hippolytus and his mother, or just Theseus and Hippolytus return to Athens. Theseus decides to get back into the market for a new [Greek] wife. And Minos is in an especially forgiving (and maybe forgetful) mood, so he offers his younger daughter Phaedra. So Theseus and Phaedra get married, and at the wedding reception, Hippolyta and her Amazons try to kill everyone because Theseus was doing the abandonment mambo again, but Theseus ends up killing her. So little Hippolytus is sent to his paternal grandmother in Troezen so he won’t lay claim to Theseus’ already shaky throne. Phaedra and Theseus lived together happily in Athens. They had two sons. And then those Attican nobles reared their ugly heads again, and Theseus and his family went on “a vacation,” otherwise known as a voluntary exile to Troezen, where Theseus can still be king but not upset the nobles. Remember how I said Hippolytus was being raised there? Yeah, that’s where they went. And Theseus keeps leaving to go on adventures so…you know what happens.